Now suddenly Black Lives Matter isn’t about protesting police state violence. 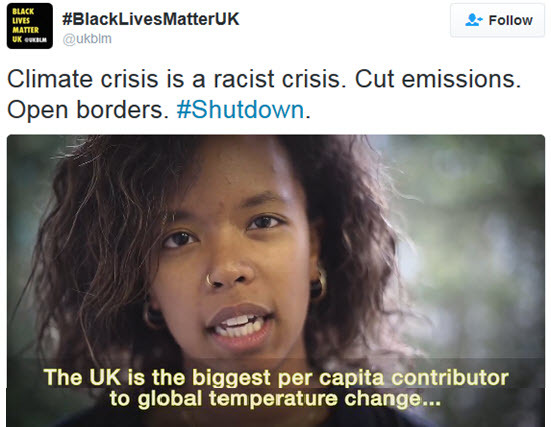 Now it’s suddenly about… climate change and open borders? Here’s how you know this isn’t an organic movement, but a George Soros creation being peddled around the globe for all the propaganda it could possibly be worth. Today's #Shutdown isn't about 9 white allies on the runway; it's about 200 million climate refugees by 2050.